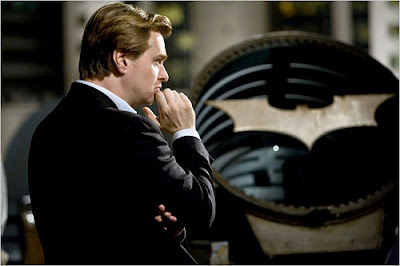 Since the acclaim of The Dark Knight Christopher Nolan has remained silent about the prospect of doing a third film in his batman franchise. This week he has finally broken his silence during an interview with USA Today about the upcoming dvd release. Nolan says that he has been writing down some notes and thinking things out, but for now, nothing he is willing to commit to screen. Nolan spoke about the importance of creating a strong third film that does justice to the fans and other films of franchise. 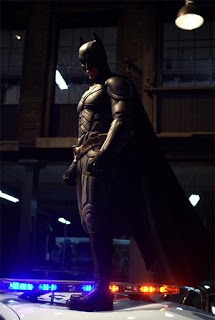 He was reminded of too many bad third films and wont allow that to happen to his batman. "I don't know why they're hard to do," Nolan says. "Maybe there's so much expectation to them. But I wouldn't want to do one if it weren't going to be as good as the first or second. That's not respectful to the fans." Tell that to the people behind Back to the Future 3, Matrix Revolutions, Beverly Hills Cop 3, Spider-Man 3, Super Man 3, Batman Forever, Jaws 3-D, Saw III, X-Men: Last Stand and Child's Play 3 to name a few! Nolan touched on the fact that Warner Brother are very eager to get a third film made, but does not want to ruin what he has created by rushing into something that isn't well thought out. "It was obvious when the box office was so big ($530 million domestically) that we had underestimated how ready fans were to reboot the franchise," Nolan says. "The worst thing you could do now that you've gotten the plane back in the air is mess up the landing." If only the studios thought like Nolan, instead of with dollar signs in their eyes. Cera & Beyonce on Gilligan's Island? Fast & Furious One Sheet! Chow Out as Kato Too? Are You a Film Addict? Sin City 2 Shooting in April? New Friday the 13th Trailer!! Sequel News & Remakes a Plenty!! Funny or Die Does it Again!! Fans Will Decide Fate of Wolverine! Speed 3...Keanu says, "Not With Me"